James is showing 3 large-format diptychs at a forthcoming exhibition in Canada about architectural photography. The exhibition is to be held at The School of Architecture at McGill University in Montreal. 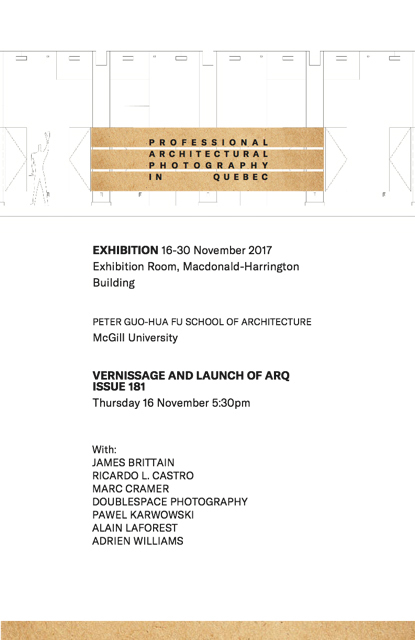 The show marks the launch of issue 181 of ARQ magazine, for which James has written an essay about photography and architecture today.